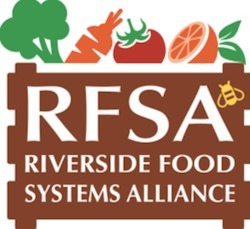 “We’re growing about 25,000 to 30,000 pounds of produce a month, so it’s definitely a significant amount of produce that all stays within West Sacramento for the most part,” program founder Sara Bernal says. The Urban Farm Program has six farm operators that manage four different small plots that together comprise approximately six acres of land. A fifth site is in the works, Bernal says. “We started the project with two-thirds of an acre site that was owned by the city,” she says. The sites are procured and developed one at a time and Bernal says the Urban Farm Program has no trouble obtaining land. The land leased by the program, at prices that typically range from $1 to $10 per year, comes from a mix of privately and commercially owned parcels as well as acreage from the local school district and city, Bernal says. Once leased, The Urban Farm Program develops and remediates the sites for future farmers. The program pays for water connectivity and land setup with help from the city and in-kind donations. Developing the land for the farmers includes testing the soil for toxicity and nutrition as well as making sure the land is adequately level, Bernal says. The Urban Farm Program also adds necessary organic compost based on the soil tests and does all of the tractor work required. The program licenses the land out to experienced farmers who have to submit a business plan, Bernal says. The other half, Bernal says, have already farmed somewhere else or were apprentices on another farm looking to start their own operation. One of the requirements for the program is to attend educational workshops, and because the farmers are operating their own business they pay for water and other expenses. 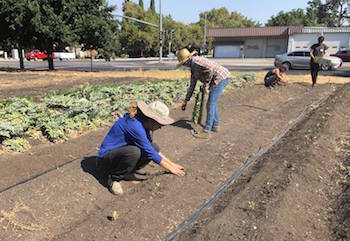 At the same time as it seeks to provide an agricultural oasis in a food desert, the Urban Farm Program works to support the development of new urban farmers who would otherwise struggle to gain access to and afford farmland, Bernal says. “Most importantly as a nonprofit, our goal is to help grow the next generation of farmers because farmers are all aging out and farming on a commercial level is not really being picked up in a large enough way,” Bernal says. So far, the program has attracted a younger demographic between the ages of 20 and 40. Bernal says the female to male ratio is evenly split in the program. Bernal herself farms one of the urban plots and says the process is not without its challenges as the work is hard, and hardly profitable. “The market price that people expect to pay for vegetables has not risen since the 90s,” Bernal says. Asked about the success of the farmer participants in the program, Bernal says that time will tell how many new farmers end up going into business for themselves. She notes that since the program started two years ago one farmer operator decided that having a garden was a better endeavor, while another dropped out of the program to start a new venture. “The other person actually bought land nearby starting a farm on a larger scale, which is exactly what we hoped for,” Bernal says.